Home computer Tricks Choosing HDD or USB memory format: FAT32, NTFS, HFS + or exFAT? 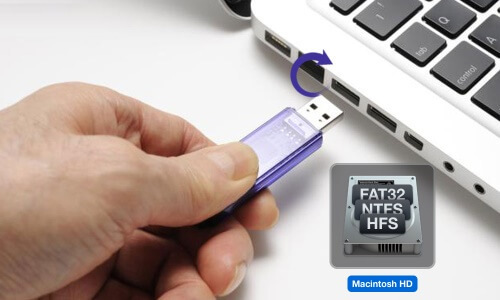 Choosing HDD or USB memory format: FAT32, NTFS, HFS + or exFAT? Your hard drive is not detected on your friend's Apple computer but works perfectly on your PC, your movies do not appear on your TV yet well equipped with a USB port? Choosing your hard disk / USB memory format: FAT32, NTFS, HFS + or exFAT? Your hard drive is not detected on your friend's Apple computer but works perfectly on your PC, your movies do not appear on your TV yet well equipped with a USB port? These situations are not unknown to you but you did not know why or how to solve the equation: the answer is often found in the file format assigned to the hard disk. A note before starting: the article has for very simple aim to "read / transfer your files without problem" it will not therefore question to install formatting or reading software such as PARAGON NTFS , Mac Drive or software Proposed by the manufacturers. It will fit both external hard drives and USB drives. - Fat32 : its advantage is its compatibility with the majority of products: televisions, multimedia cases, Playstation 4 all use the Fat32, it is also compatible in writing and reading on a Windows or Mac computer. Its biggest flaw is the size limit for each file up to 4GB (and the limit to a total capacity of the 2TB drive) so exit the movies made with HD cameras. - NTFS : this format, owned by Microsoft , erases the limits of the Fat32 and is compatible with some multimedia boxes but rarely with the USB ports of the televisions. On a Mac disc playback is possible but not its writing. - HFS + : also called "MAC OS Extended" is the basic format used on a Mac computer. Its biggest defect is not being compatible with the Windows environment (it will not even be visible). It is compatible with some recent multimedia boxes and has no limit in terms of file size. - exFAT : no size limit, it is writable and readable in Windows and Mac, but outside of computers this file system is hardly used. There are also other formats (ext2, ext3, FAT16, HFS etc.) but these four are used by the majority of current products, there is no need to dwell on it. In conclusion if your use stops transfers between computers, the exFAT format is the most convenient and will be fully compatible with all computers. On the other hand, if you want to connect your USB stick or external hard drive to your TV or to multimedia boxes, you should give priority to the Fat32 which is currently the most compatible, despite the limit of 4 GB per file.